Is it possible to detox a city out of your system? Well, Chad and I have been living in NYC for the past 5 years and we just recently moved to the exurbs of Rockland County. We’re in between the suburbs and country! How cool! It’s green, the air is thin, fresh and clean. There are birds chirping everywhere I turn and our apartment has light! 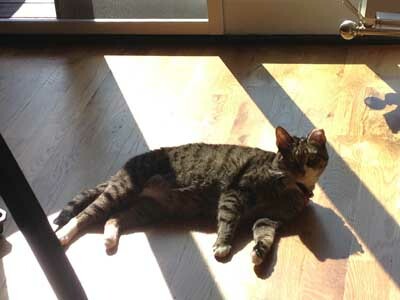 That’s right, the sun actually shines right through the window warming up our toes. We have the same exact bed that we did when we lived in NYC but for some reason it is 100 times more comfortable now – both of our sleeps are deeper and more fulfilling – and the only thing I can think of is… maybe we are detoxing the city out of us. It’s possible right? Maybe we are happier here as well… There’s really nothing like being in a good place mentally, physically and emotionally.